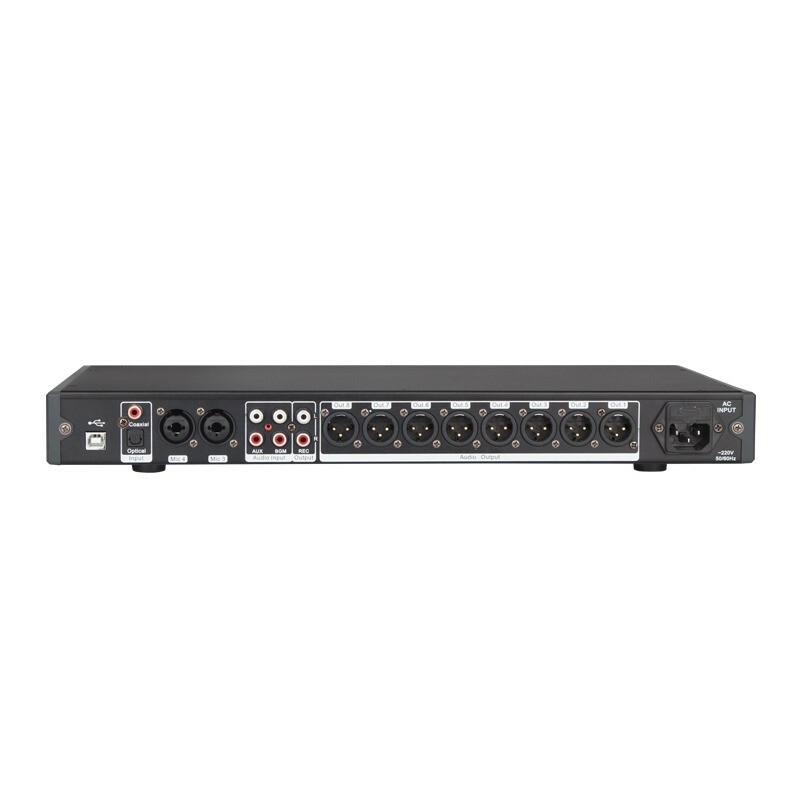 4 MIC inputs, each way can be independently set 12 bands parameter EQ, with high-pass filtering and low-pass filtering. 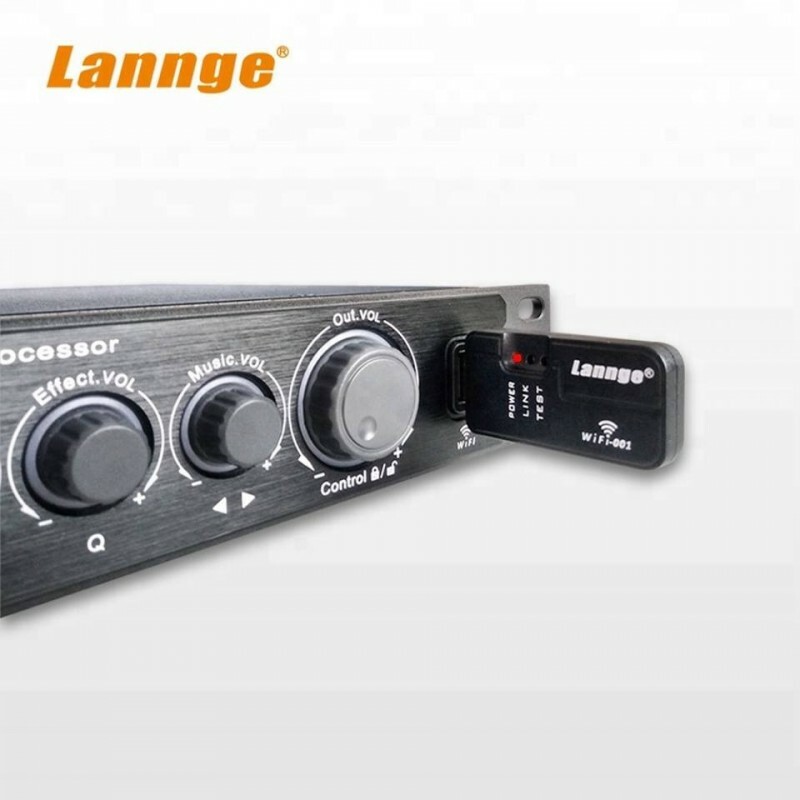 MIC input with dynamic compression, excitation function, feedback inhibition, noise gate. 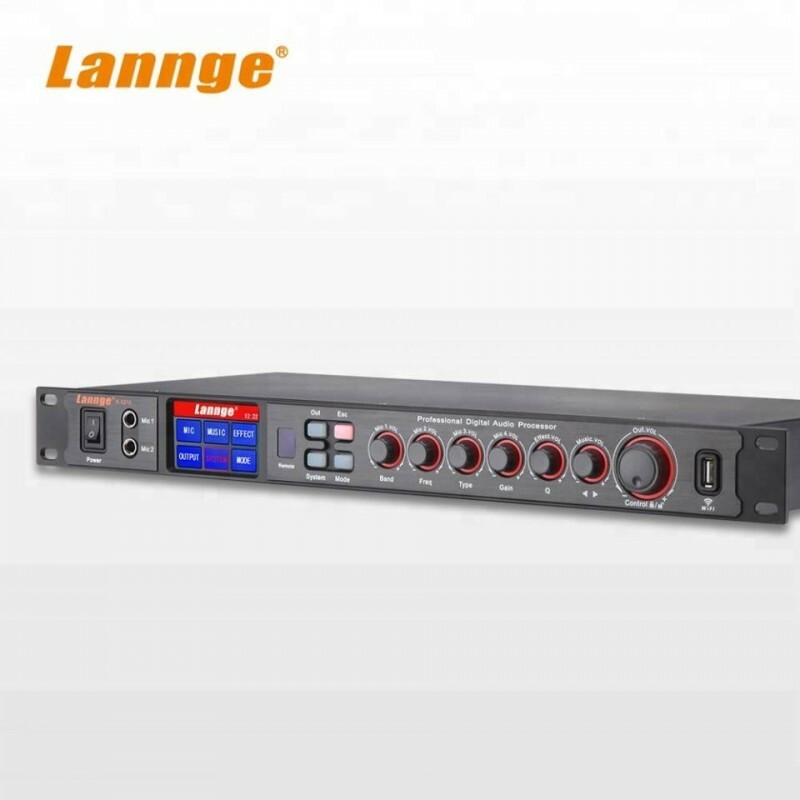 Music input can be set 12 bands parameter EQ, high-pass filtering, low-pass filtering, dynamic compression and excitation function. 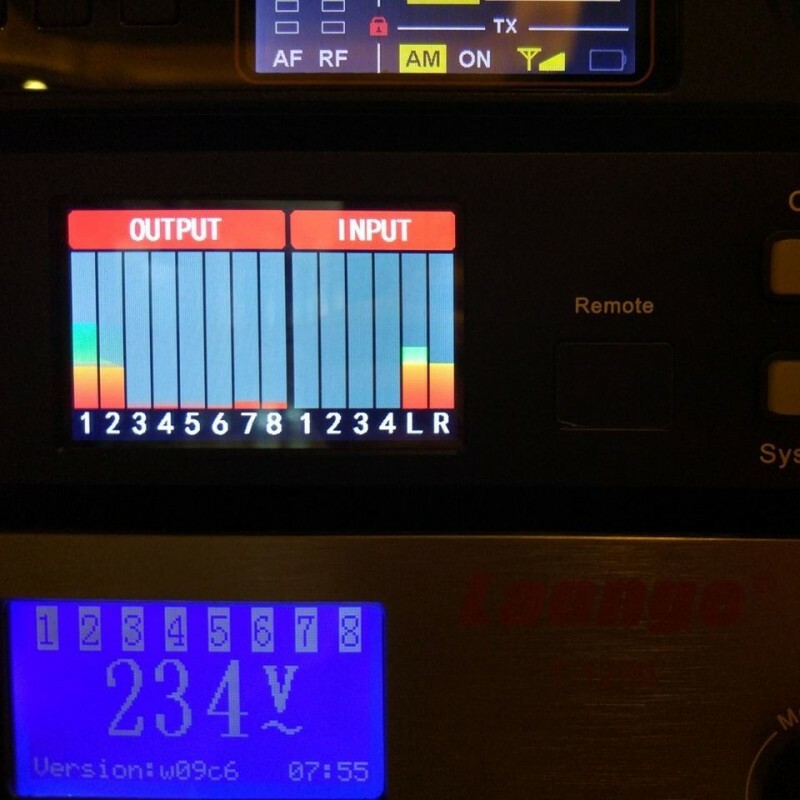 5 bands parameter EQ, high-pass filtering, low-pass filtering for echo and reverb can be set independently. 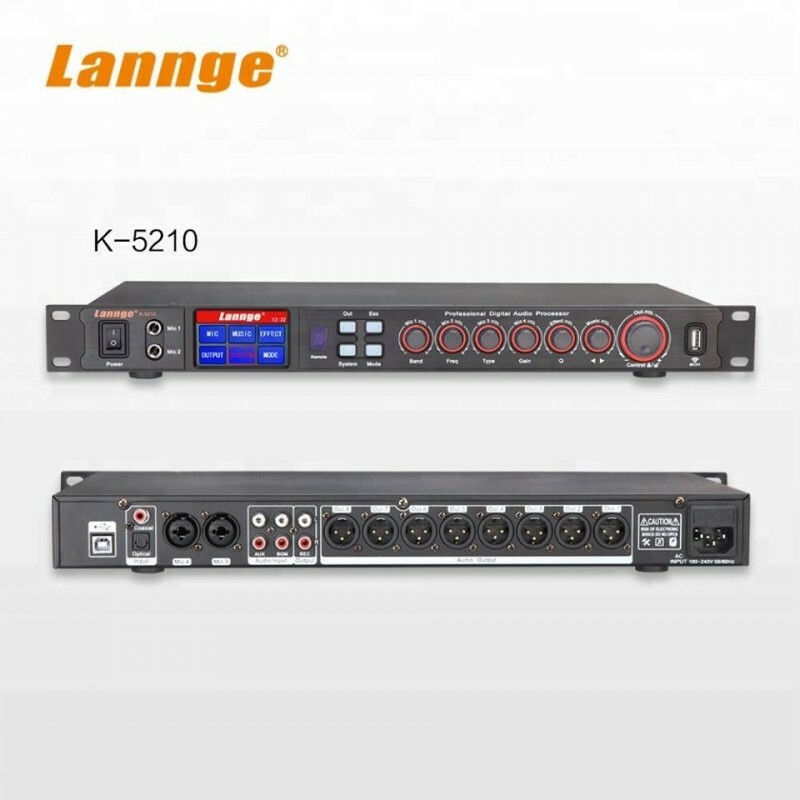 8 way independent output, each way can be independently set 9 bands parameter EQ, high-pass filtering, low-pass filtering, compressor, delay and Reverse Phase function, can flexible match power amplifier. Function of singing and dancing can be switched by automatic or manual. Connect with PC by RS232 port or USB port for quick and convenient on-line. 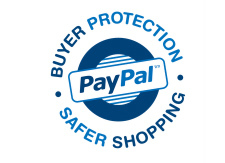 With custom screen saver password, can effectively prevented unauthorised change the setting parameters. 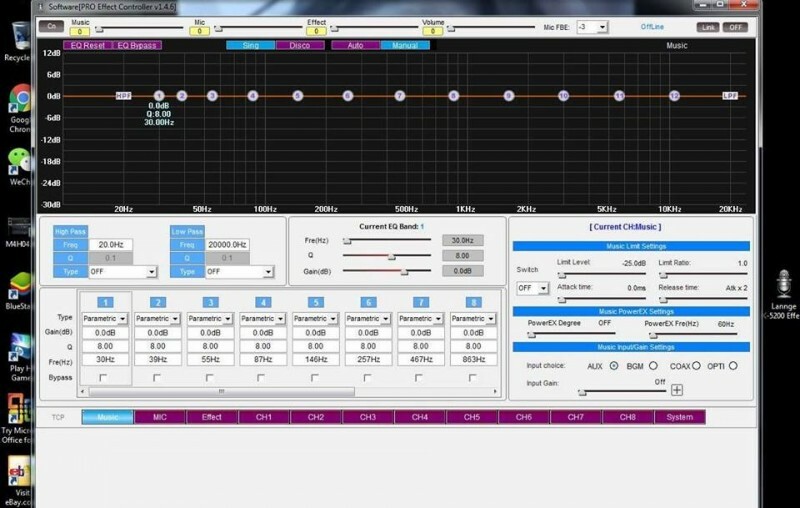 Adopt 32 Bit high-performance DSP with wide frequency band and large dynamic ranges. 10 moderating effects can be stored. With remote control function, with optical fibre, coaxial input port.